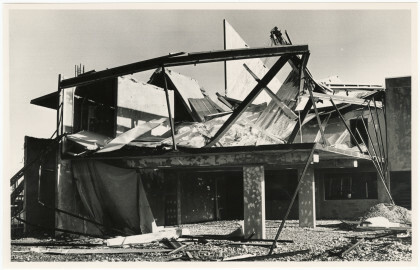 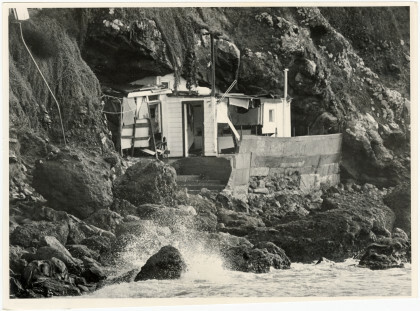 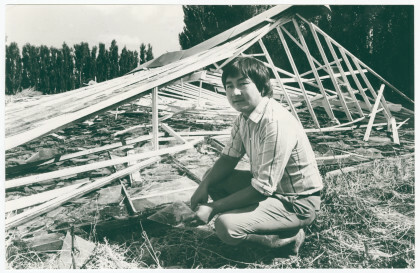 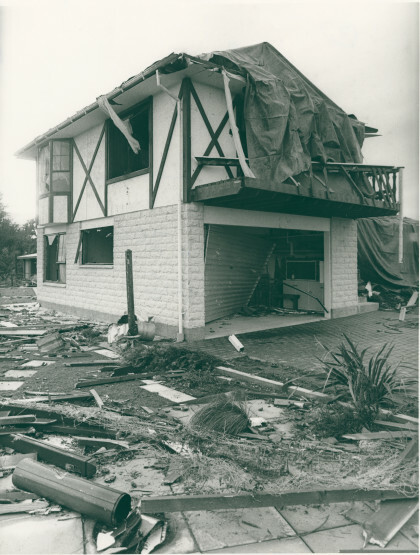 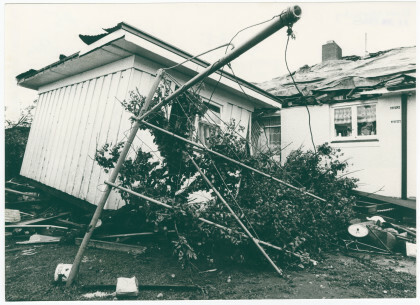 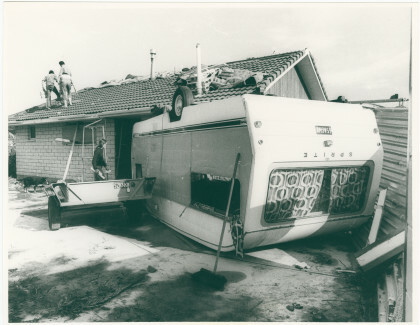 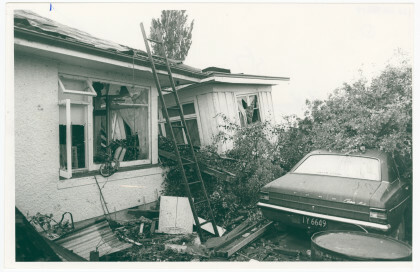 David Lee with his tornado damaged glass house in Halswell. 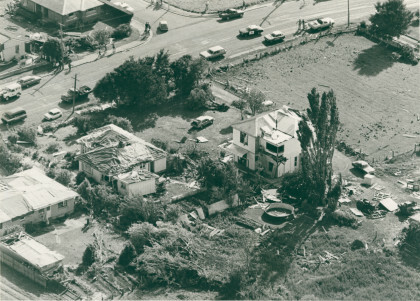 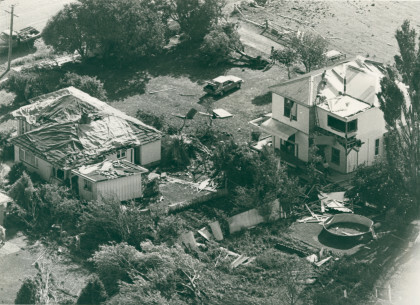 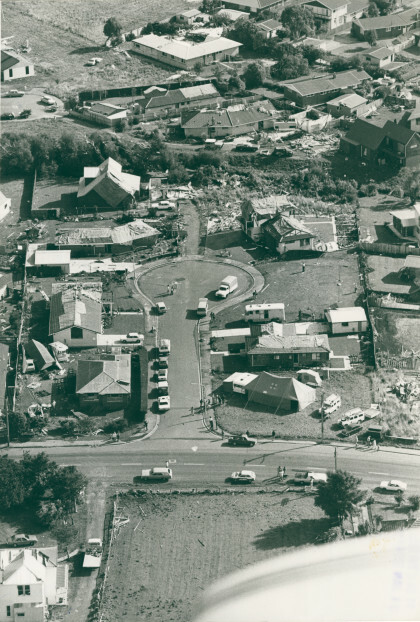 Aerial view of the tornado damage to Kinrara Place, Halswell. 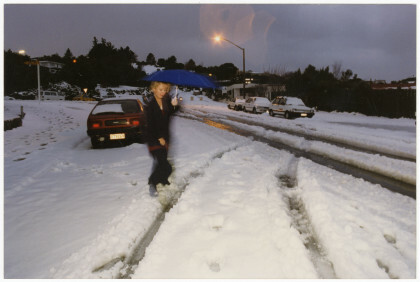 A woman holding an umbrella walking in the snow. 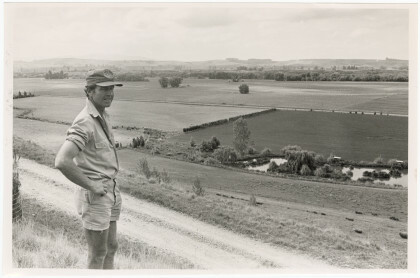 Tom Henderson with his drought affected Pleasant Point farm. 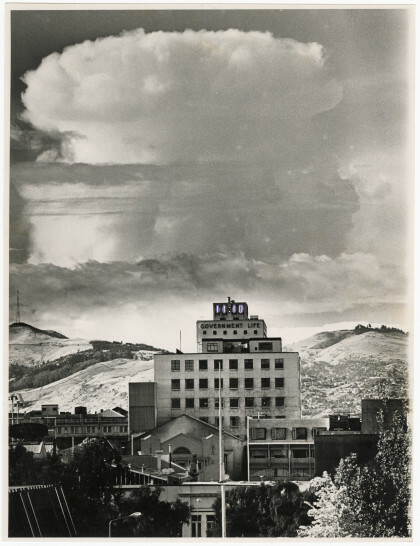 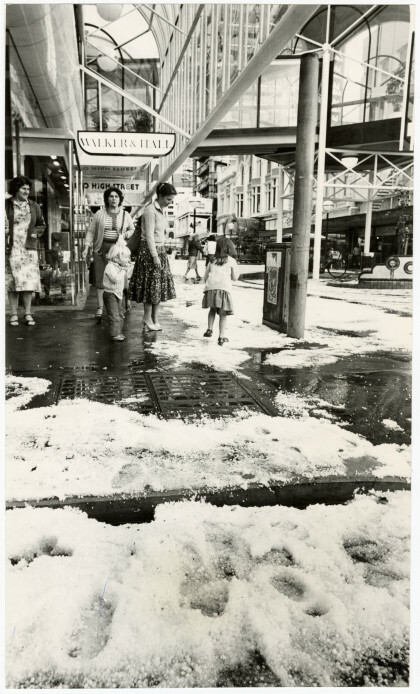 Remains of a hailstorm in Cashel Mall, looking east. 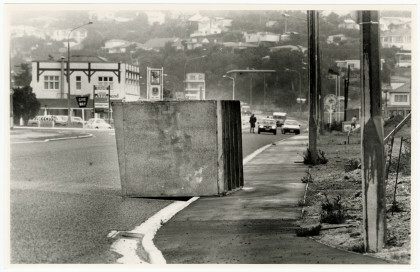 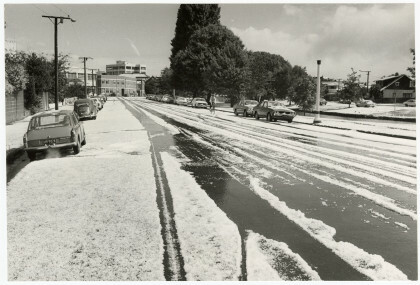 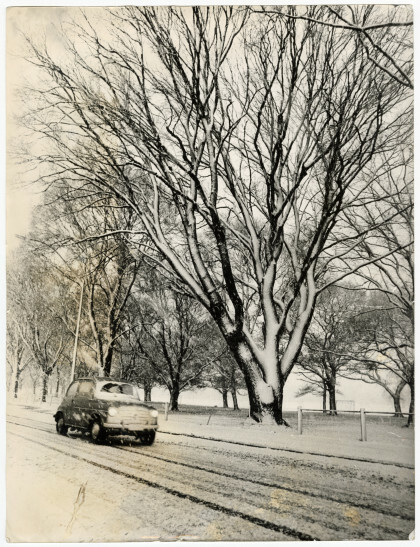 View along Oxford Terrace after hailstorm. 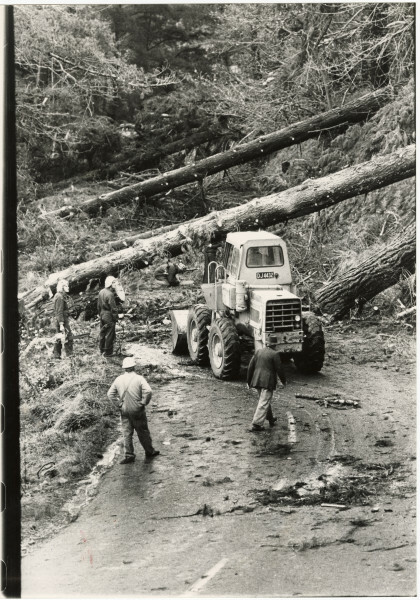 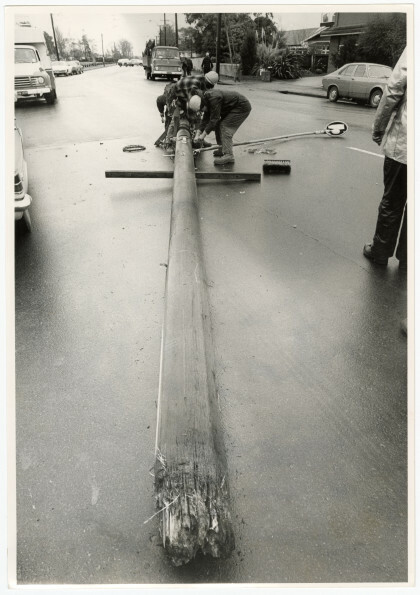 Pine trees blown on to Dyers Pass Road. 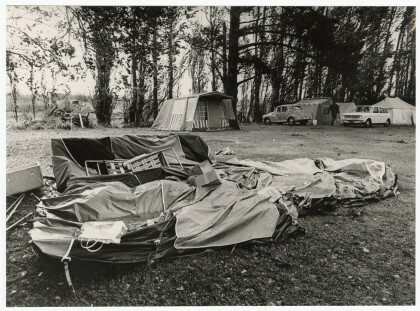 Tents blown over by the wind at Spencer Park Motor Camp. 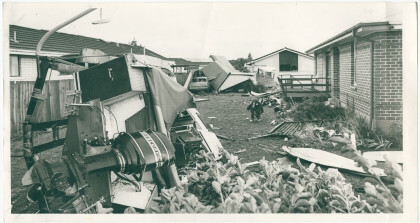 A portable builder's shed blown onto Ferry Road by strong winds. 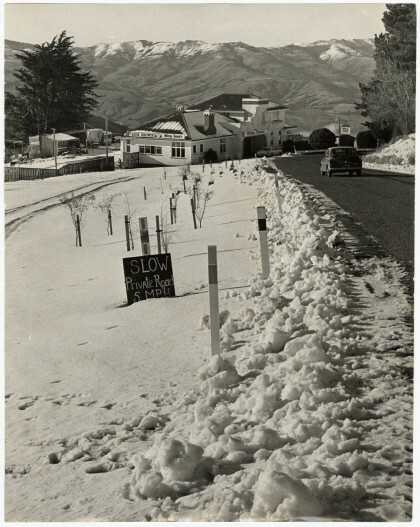 View of morning fog over Christchurch.